I am so excited to announce a Mini Portrait Session taking place at our studio on August 6, 2016. 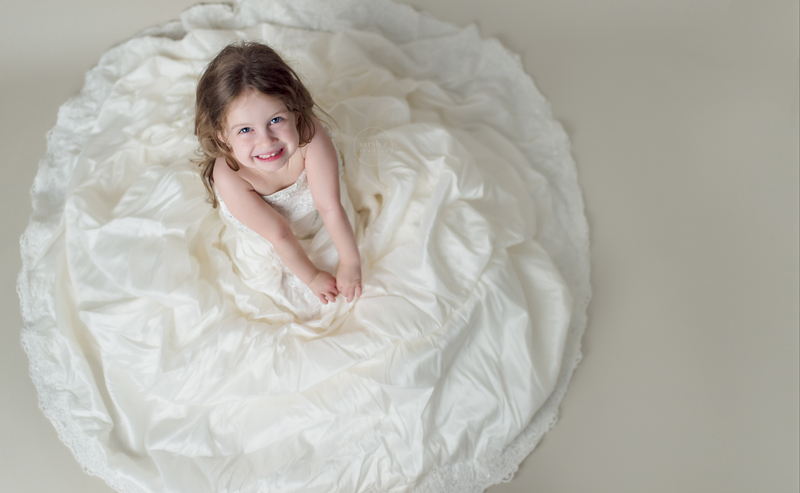 We look forward to hosting you and your daughter(s) to make some memories and capture her in your gown. 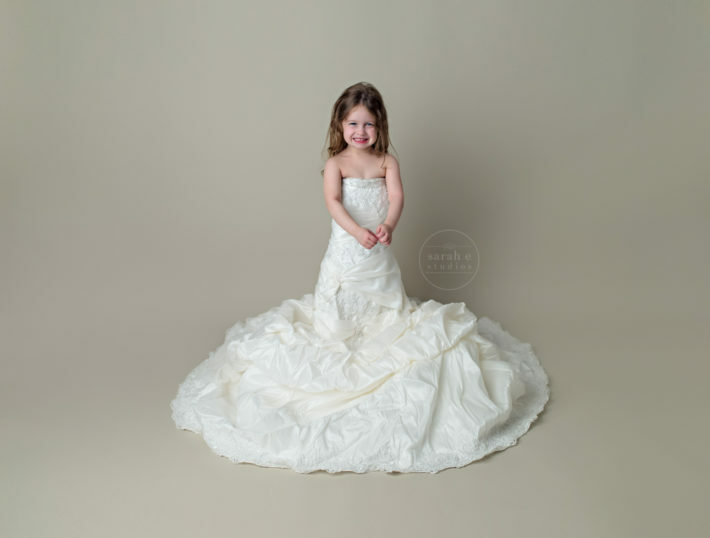 Our Mini Portrait Sessions are for one child. We will have a limited number of session appointments. We ask that you dress your daughter in a swimsuit, bring your gown, and arrive early to allow time for you to settle in, prepare the gown/props and do any last minute primping. This way your child is ready for her appointment start time. During this time you will also have the opportunity to take look at a few of the special products we are highlighting in conjunction with the event. A booking fee equivalent to a minimum Collection purchase is required to reserve your session. This collection purchase is non-refundable if you are unable or do not attend your mini session time. The booking fee will be credited towards your final choice of Collection. 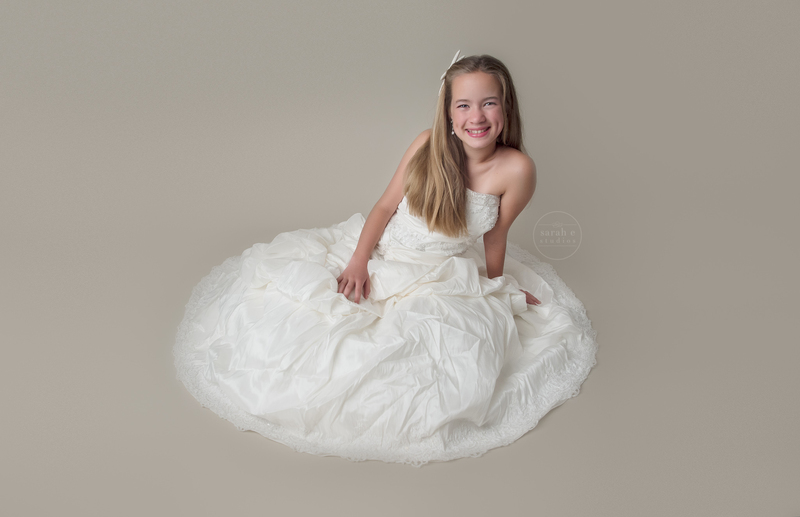 In-person selection of images, purchase of Collection and purchase of optional Add-On A La Carte products will occur immediately following your session. Please allow approximately 15+ minutes after your session for this appointment. Prints and products will be available for pickup approximately 2-3 weeks after session. Digital products will be delivered to client digitally upon pickup of physical product. Shipping of products is available for an additional fee. Session Collection pricing begins at $75 and includes an 8×10 gift print and a small, watermarked digital file for sharing on social media. Please inquire here for more information! Below is a fun slideshow of the fun experience we can’t wait to have with you! 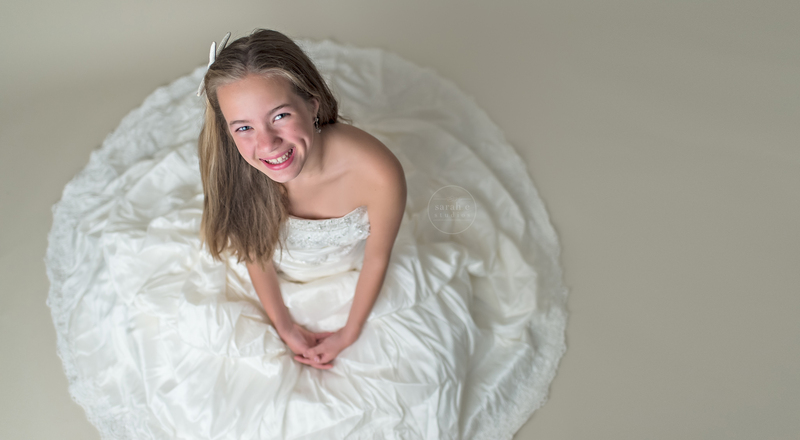 Mini Portrait Sessions for Girls in their Mom’s Wedding Dress from Sarah E Studios on Vimeo.